Will Zack Ryder be demoted to NXT or will Finn Balor be sent to 205 Live? Acting General Manager of RAW Baron Corbin has made some interesting decisions on RAW thus far. He has completely destroyed the show's face superstars, be it Finn Balor, Braun Strowman, Elias, Bobby Roode or Chad Gable. He set up a match between tag team partners Heath Slater and Rhyno where the loser would have to leave the RAW roster. Slater defeated the Man Beast and secured his position on the roster. However, soon the Lone Wolf informed Slater that he would have to perform the duty of a referee on RAW. No Way Jose has wrestled in filler matches on RAW thus far and has never been a part of a feud on the main roster. He has featured in random matches against Jinder Mahal here and there but never has he been able to be a part of a program. Jose has a catchy theme song and also one of the most unique characters on WWE TV yet he has failed to capture the attention of the Creative team. 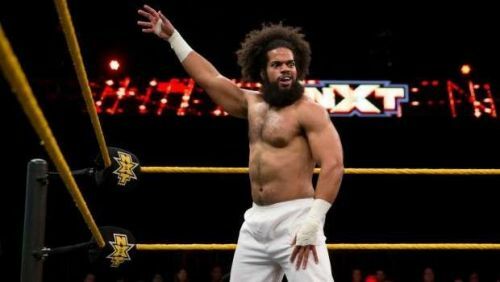 Probably he could rebuild his career by returning to the Developmental territory NXT or maybe even a move to the Land of Opportunity, SmackDown Live can help him rise up to the ranks. He could lose a match against Jinder Mahal to be fired from RAW next Monday. WWE Rumors: Baron Corbin could get a huge appearance change soon?